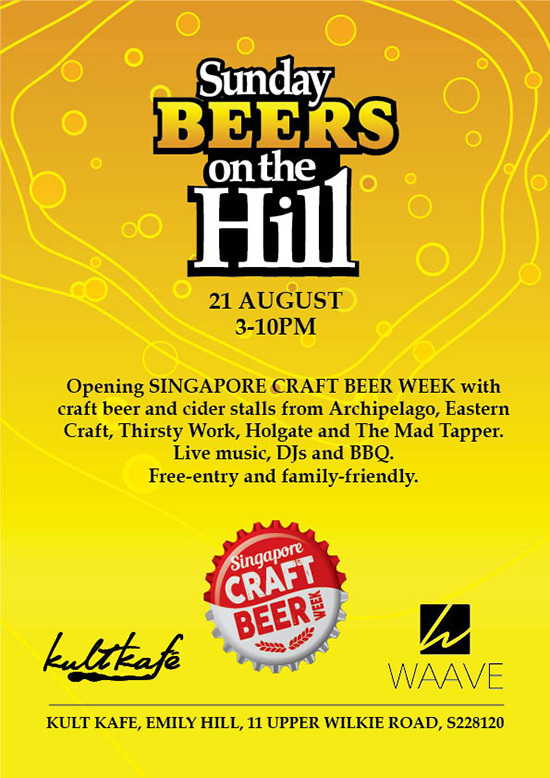 Join us for the official launch party of Singapore Craft Beer Week with craft beer and cider stalls from Archipelago, Eastern Craft, Thirsty Work, Holgate and The Mad Tapper – $10 craft beers all day! Food by Sidecar Sausages (gourmet sausages and more) and great veggie options from Banyan Tamarind Foods. TIP: Beat the queue with WAAVE social mobile wallet – the fastest way to buy drinks and food! Simply place your order, show your phone to the bartender and get your drinks! Free-entry and family-friendly. No outside food and drinks please!